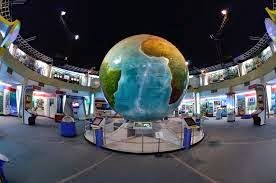 National Council of Science Museums (NCSM), an autonomous organization under the Union Ministry of Culture is engaged in establishment of Science Centres throughout the country. NCSM is developing a Science City at Guwahati, Assam which will subsequently be handed over to the Govt. of Assam for future operation and maintenance. Proposals from various state governments have also been received for setting up of Science Cities. The Science Centres/Cities projects are taken up by NCSM in a phased manner depending upon the availability of resources, project handling capacity of NCSM and the existing level of science centre activities in that particular State. Science Park is now an integral component of all Science Centres and Science Cities and hence is not set up as an independent facility. NCSM has not received any proposal from Govt. of Telangana for setting up of Science Centre/City after its creation. This information was given by the Union Minister of State for Culture (Independent Charge) in a written reply to a question in the Lok Sabha today. In a befitting ceremony, the Coast Guard Air Enclave Bhubaneswar and743 Dornier Squadron have been commissioned by Vice AdmiralAnurag G Thapliyal, Director General, Indian Coast Guard, today at BijuPatnaik International Airport Bhubaneswar. Various defence and civil dignitaries attended the function. The Coast Guard Air Enclave Bhubaneswar is commanded by Commandant Rajeev Saini and 743 Squadron is commanded by Commandant Pradeep Sundriyal. The units will operate under the operational and administrative control of the Commander, Coast Guard Region (North East) through the Commander, Coast Guard District No 7 (Odisha). The Coast Guard Air Enclave Bhubaneswar was formerly activated on 10 April 2013 and since then it has been engaged in undertaking air surveillancein the area. This has augmented the Coast Guard Operations along the northern Bay of Bengal with area of responsibility of over 1.5 lakh square kms of the Indian Exclusive Economic Zone. The 743 Squadron (CG) will be operating with 02 Dornier Aircraft. In his address, Vice Admiral Anurag G Thapliyalhighlighted the maritime challenges in Odisha and significance of maritime and coastal security. Recalling the maritime traditions of Odisha as ancient Kalinga, the DGICG highlighted that numerous measures have been initiated by the Government of India for enhancing coastal security and with the setting up of Coast Guard Air Enclave at Bhubaneswar, strategic air operations will be streamlined and synergized for the protection of the sea areas off the Coast of Odisha. The commissioning of the Air Enclave will provide the required fillip for protection of sensitive marine environment and vital assets thronging on the shores of coastal Odisha. Further, Odisha coast being hub of shipping traffic emerging to east and Far East, the coordination of search and rescue efforts will certainly get the required boost. As Odisha is also periodically affected by natural calamities; the availability of Coast Guard maritime air assets will enhance the capability of disaster response. I thank and commend COP Presidency for making efforts to carry all the parties together. Everybody cannot be happy - We also wanted more. As BASIC and LMDCs, we have made some accommodation for the success of LIMA. I hopethat developed countries would reciprocate it in Paris. With clear mention of ‘Under Convention’ and “CBDR”, we have achieved consensus. I have a suggestion to make. There will always be issues of differences. The best way is to plan ahead and allocate 3-4 days for each substantial issue in 2015 and arrive at a working solution or consensus. Let us not leave all differences for the very end. Let us avoid last minute stretching and huddles. I rise with great pride as an Indian, to make a statement on the happy news that we all heard on late evening of Thursday; 11th December - the adoption by the United Nations of India’s initiative to celebrate 21 June each year as the ‘International Day of Yoga’. First and foremost, I would like to bring to the attention of this august House the unprecedented quantum of support that this personal initiative of our Prime Minister, Shri Narendra Modi, evoked at the United Nations. In its annual calendar, UN has listed nearly 118 International Days/Years/Anniversaries for observance. On 11th December, an unprecedented 177 out of the total 193 member states of the United Nations; joined-in as ‘co-sponsors’ to the resolution for ‘International Yoga Day’. Madam Speaker, in the history of the United Nations, this is the highest number of co-sponsors ever for any Resolution of this nature. ‘Co-sponsorship’, quite simply, meant that these countries; not just supported India, but expressed their public willingness to own the initiative as well! The list of co-sponsors was wide, all encompassing and a triumph of Indian diplomacy - from the P-5 to the Small Island States of the Pacific (with whom the Prime Minister interacted during his recent visit to Fiji); from the heart of Africa to nearly the whole of Europe; from most of our South Asian neighbours to our distant friends in the Caribbean and Latin America, all in one voice stood up in our support. To me, this broad spectrum of cross regional support signifies two things- first, it is a reflection of the pan-global appeal of India’s rich cultural heritage; especially Yoga. While all of us may not be able to become Yogis, but by making Yoga an integral part of our everyday lives, we attain a unity of mind and body and a harmony with nature. Yoga is an invaluable gift of our ancient tradition. Yoga embodies unity of mind and body; thought and action; restraint and fulfillment; harmony between man and nature; a holistic approach to health and well-being. It is not about exercise but to discover the sense of oneness with yourself, the world and the nature. Hon’ble Members, from the time Prime Minister Modi first formally initiated this proposal during his maiden address to the 69th session of the United Nations General Assembly on 27th September 2014, it took exactly 75 days for its formal adoption by the entire United Nations, last Friday, on the 11th of December. The speed and ease with which this proposal moved to final fruition, is a remarkable achievement in itself. The sheer number of supporters as well as the smooth adoption also symbolizes the strong international support that the recent diplomatic endeavours of our government have evoked on the world stage. I would term these as a critical part of a new India’s ‘breakthrough diplomacy’. From ‘Make in India’ to ‘Swachh Bharat’ and now - the ‘International Yoga Day’- they are all small steps in our journey to ensure a vibrant, happy and prosperous India, whose imprint and influence are felt far beyond our own shores. Major Yoga organizations from different parts of the world have already welcomed this proposal whole-heartedly. Prior to this, United Nations, in 2007, had adopted India’s resolution to observe 2nd October, the birthday of Mahatma Gandhi as the International Day of Non-Violence. Taken together, the International Day of Non Violence as well as the International Day of Yoga, uniquely highlight India’s contribution to the international community. The essence of these two initiatives is to emphasize the holistic nature of our world, or as we say in Sanskrit- “Vasudhaiva Kutumbakam”; ‘the entire world is one family’. I would go as far as to say that they epitomize the ‘Indian way’- a constructive approach focused on finding peaceful solutions to global challenges; that are in harmony with our environment. As I said in the Lok Sabha on 3rd December; “Our pursuit of global aspirations has been accompanied by global engagement”. Madam Speaker, the ‘International Yoga Day’ is a rich accomplishment of our government’s unwavering commitment to global diplomatic engagement. I assure my fellow Parliamentarians that we will continue to exhibit the same unflagging resolve to engage with the world in the days ahead. While on one hand, we consistently advocate a proactive and innovative approach for making India and the greater South Asian region more prosperous, at the same time, we are thinking and acting on new measures to project India’s soft power- the unparalleled cultural richness, diversity and uniqueness of India and its people.